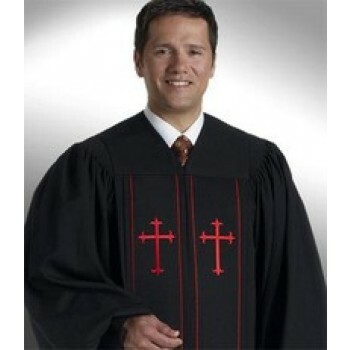 Matthew F. Sheehan makes it easy to outfit members of your church, university or government office with a selection of high-quality clergy style robes for men and women. 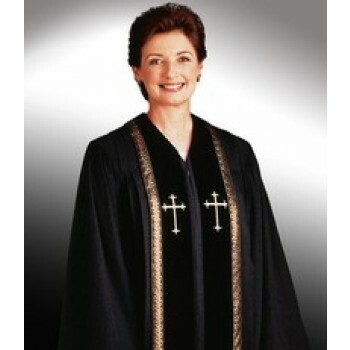 Our pulpit robes for men and women are designed to be worn over any style of clothing and are made of high-quality materials that are comfortable for use in most climates. 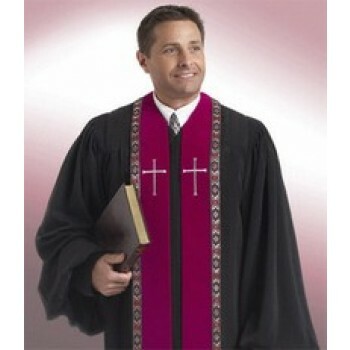 Our clergy robes can be worn for church services, for formal occasions, for special ceremonies and more. 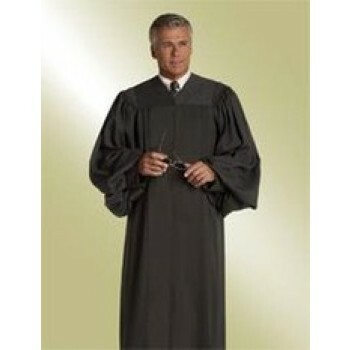 The recognizable design makes it easy to identify the wearer's position or office. 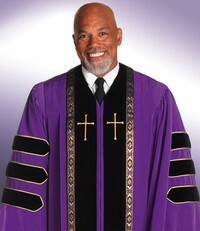 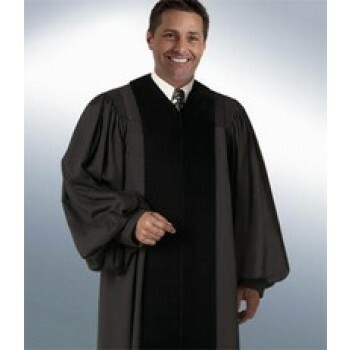 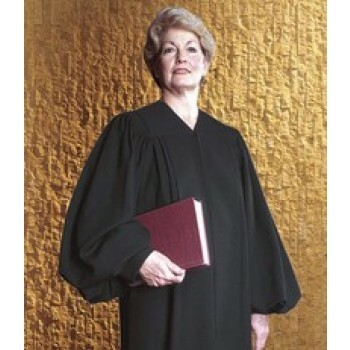 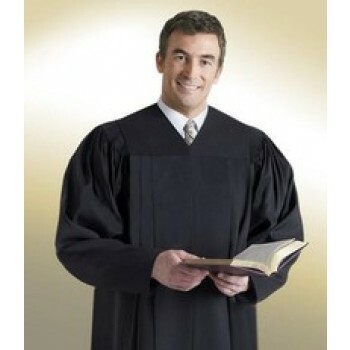 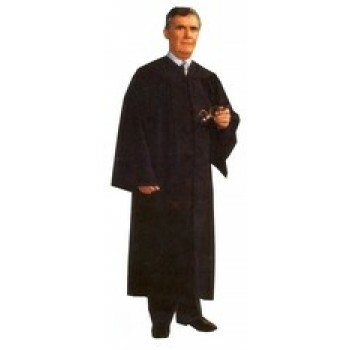 Outside of churches, judicial robes may be worn by high-ranking officials such as judges presiding over courtrooms or by professors and administrators overseeing graduation ceremonies. 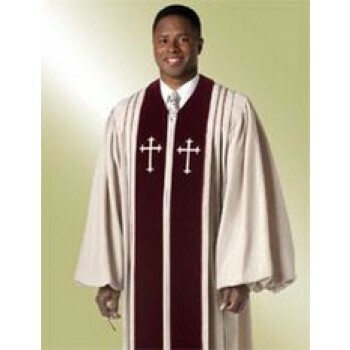 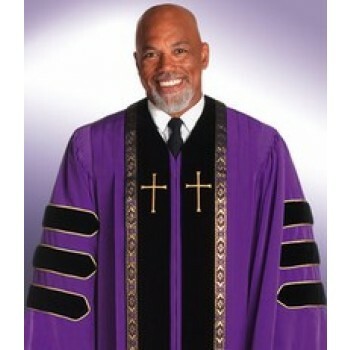 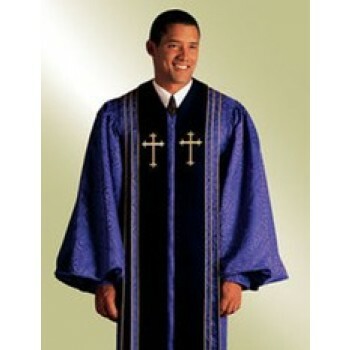 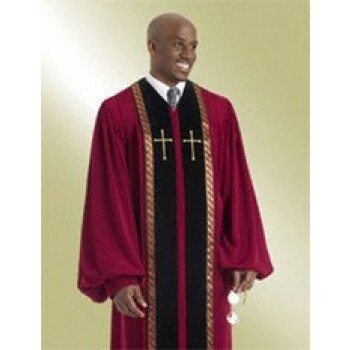 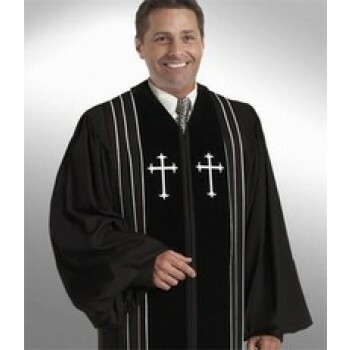 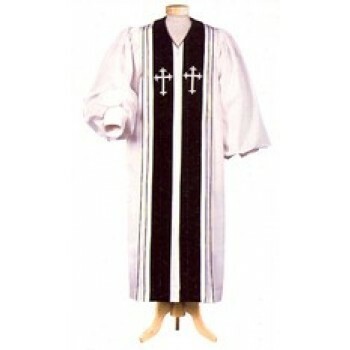 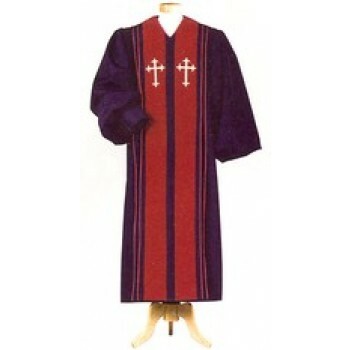 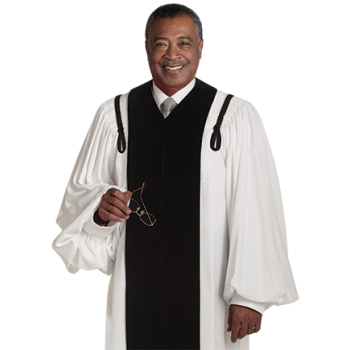 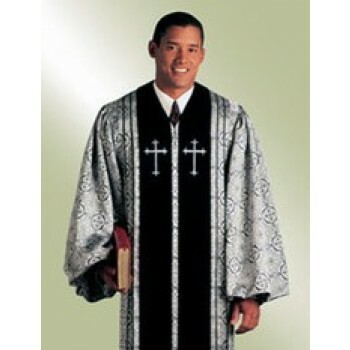 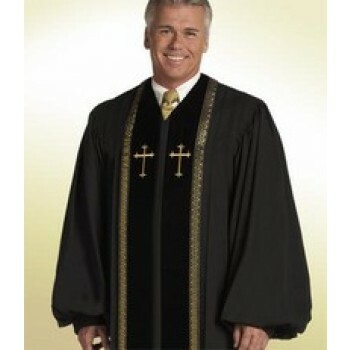 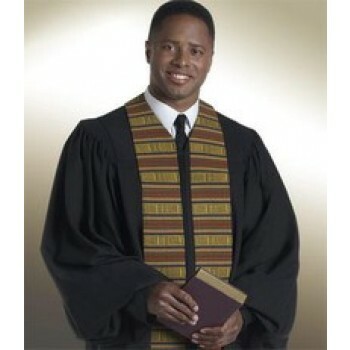 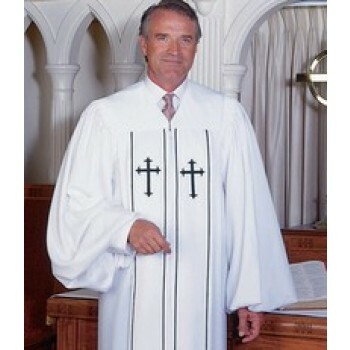 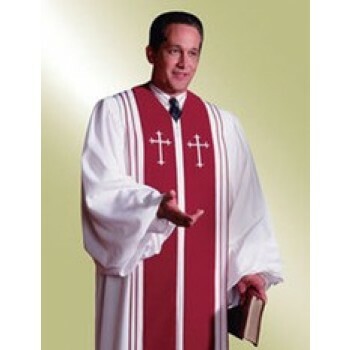 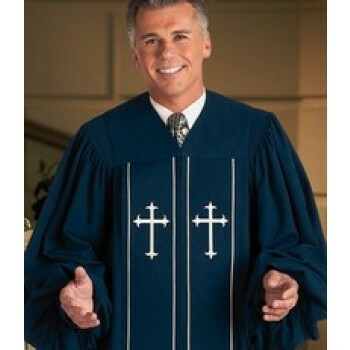 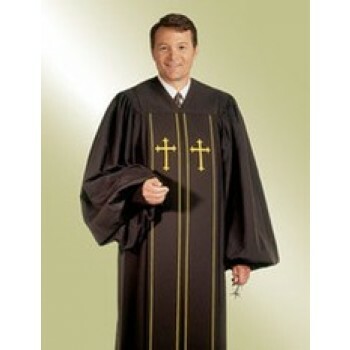 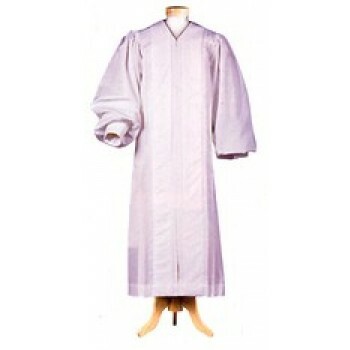 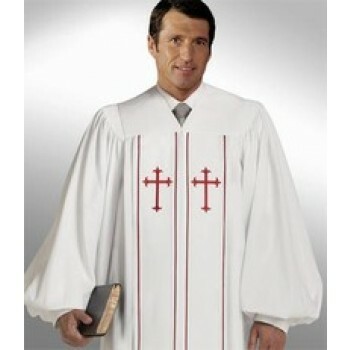 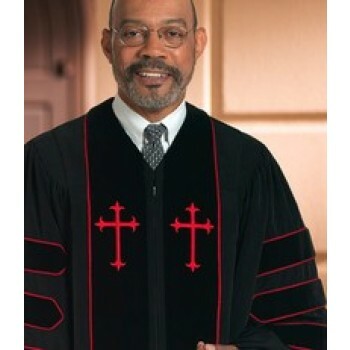 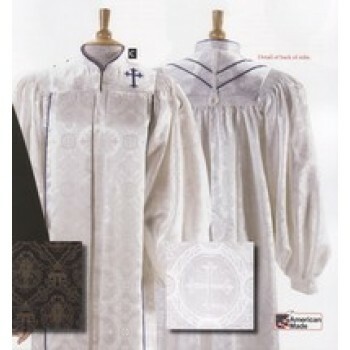 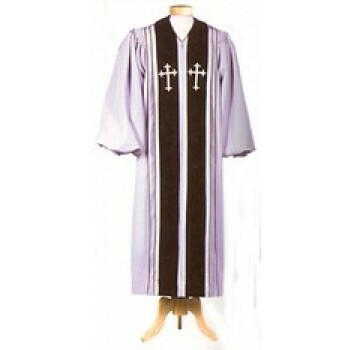 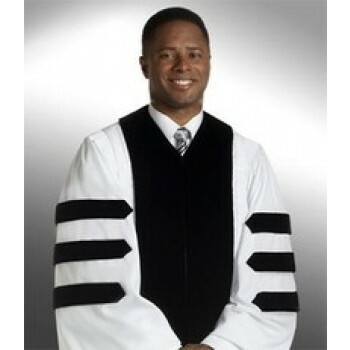 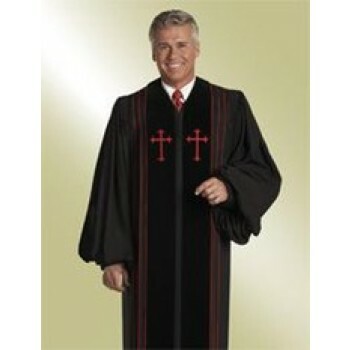 Our discount clergy robes for men are identical in style to judicial robes or choir robes, but often include additional ornamentation that mark the wearer as a member of the clergy. 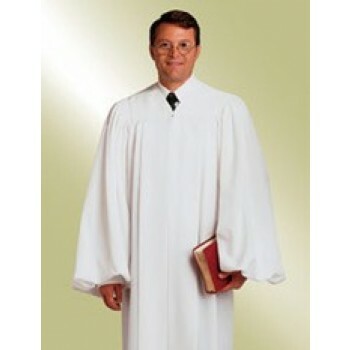 The clergy robes for men are designed to be wide throughout the chest and body with large, flowing sleeves for a relaxed, comfortable fit. 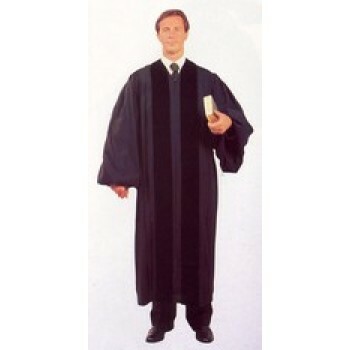 The evangelist robes end between the knee and ankle, depending on the height of the wearer. 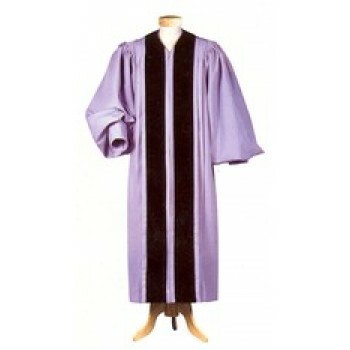 The sleeves of our clergy attire for men may be plain or decorated with Doctoral Bars. 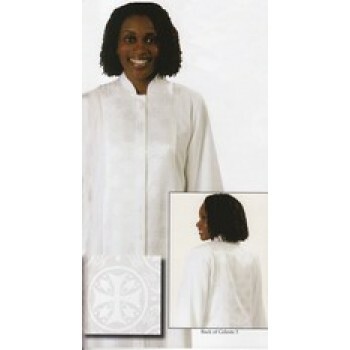 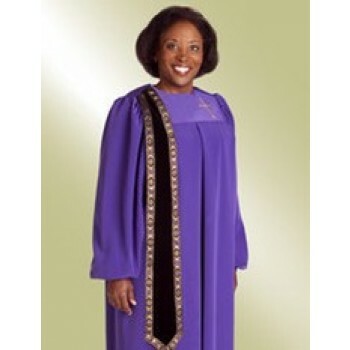 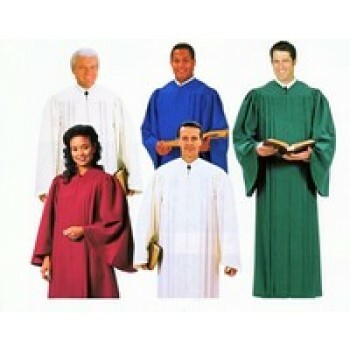 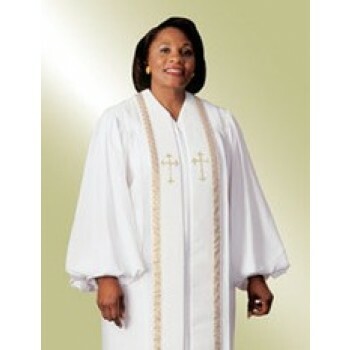 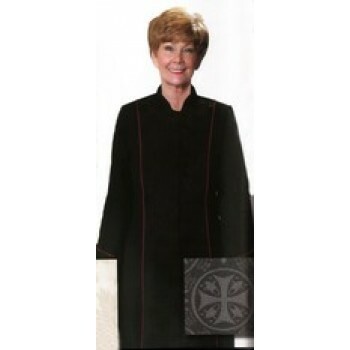 Ladies pastors robes are made with a slimmer cut than most men's styles. 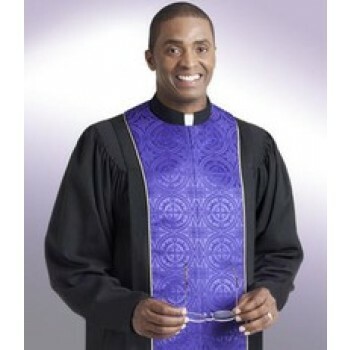 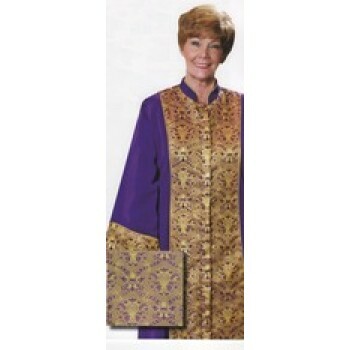 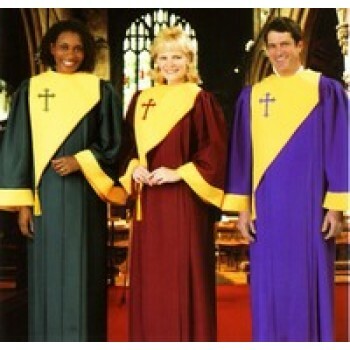 Our selection of discount clergy apparel for men and women includes a variety of styles and colors to choose from such as purple, silver, gold and white. 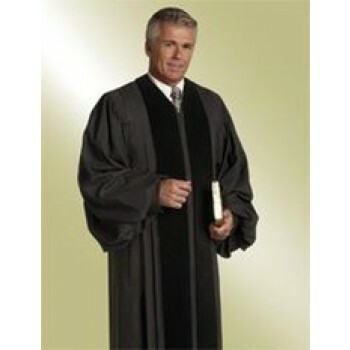 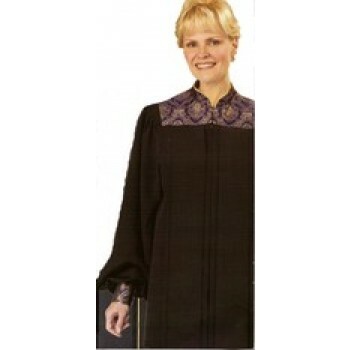 Robes are made with front closures and are designed to sit flat against the front of the wearer. 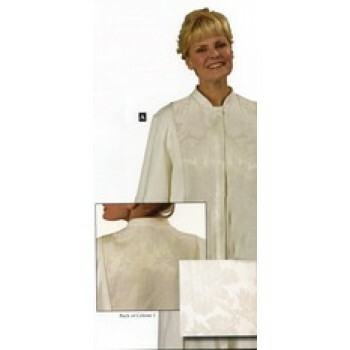 The slimmer style is more flattering to the female silhouette.